Knocks to the head on a busy site can come from falling and flying objects or accidental bumps, and are likely to cause potentially life-threatening injuries. This is why safety helmets, which are suitable for all the hazards present, are essential for reducing the risk of knocks, scrapes and serious injury. A requirement for those working in a wide range of industries, they’re able to protect against a wide range of potential hazards. Choosing the right safety helmet is an important decision to ensure you’re sufficiently protected, as well as selecting the right colours to identify a worker’s position and qualification. As an example, a bump cap will not protect a wearer from falling objects but does provide enough protection to avoid injury from knocking your head on a pipe as you walk past. In most instances, a safety helmet will be more than suitable. However, they have a range of other features which you will also need to consider. Some helmets are made from a lighter material, which is a more comfortable choice for prolonged use. Mountaineers will require a helmet which complies with standard EN 12492 to ensure it doesn’t let you down, and standard EN 12899 is for reflectivity. 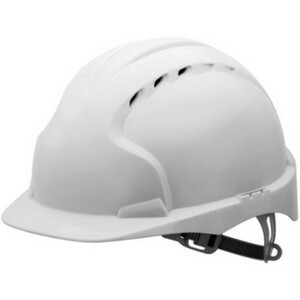 Industrial bump caps have to comply with standard EN 812 and give protection against bumps caused by walking into hazardous protections and prevents scrapes. 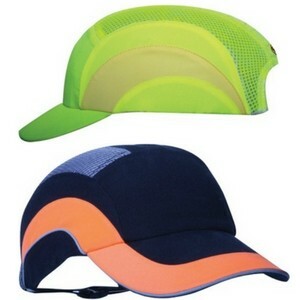 The benefit of these is that they manage to provide some protection whilst looking like an ordinary baseball cap.